An Atlantic City rapper with a pending gun case was arrested concealing a weapon during a car stop, according to new charges. Djza Chase, 22, was wounded in a 2016 shooting, and then charged the next month after an investigation found he was armed and fired a weapon during the shootout in which he was wounded. Chase, who makes music as Camaro Chase, was released on bail in that case, which was before bail reform. On Friday, Chase tried to hide a gun when the car he was riding in was stopped, Sgt. Kevin Fair said. 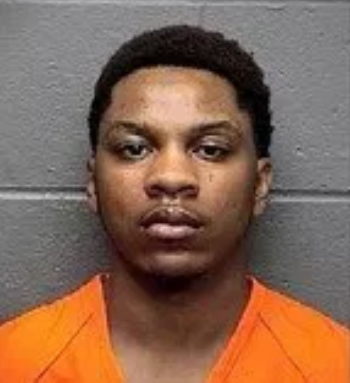 Atlantic City Detective Anthony Abrams stopped driver Carlos Mendez for two motor vehicle infractions at about 11:45 a.m. in the 1400 block of Magellan Avenue, according to the report. As Abrams approached the car, he saw the front seat passenger — later identified as Chase — continue to lean forward until the detective got to the window, Fair said. Abrams smelled unburnt marijuana coming from the car as he spoke with Mendez, according to the report. While Abrams waited for other officers to arrive, he backed away from the car and saw Chase continue to lean forward, the report said. Mendez, Chase and another passenger, Khamil Newsome, were taken out of the car after other officers arrived, Fair said. That’s when Abrams opened the bag that was at Chase’s feet and found personal items along with a handgun loaded with hollow-point ammunition, Fair said. Chase, 22, was charged with unlawful possession of a weapon, possession of hollow-point ammunition and certain person not to possess a weapon. Newsome, 26, of Atlantic City, was arrested for an active warrant and also charged with possession of marijuana. Both were sent to the Atlantic County Justice Facility. Mendez was given tickets and released.